Super easy 5-minute vegan breakfast! 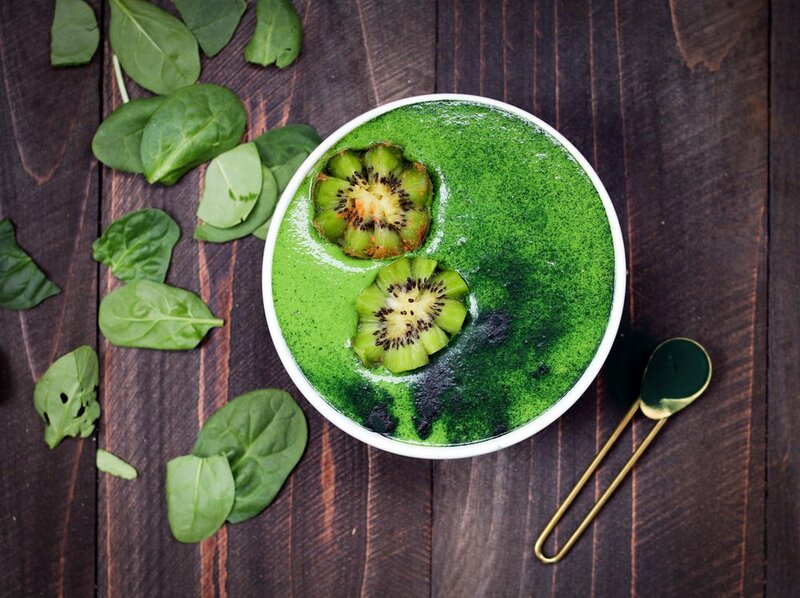 This smoothie is perfect if you want to add more greens into your diet. The banana and berries make a sweet base, the peanut butter adds saltiness and the greens give it its gorgeous green colour!. Top it off with some granola and fruit of choice.